I have a a large amount of designer paper... I doubt there is anyone out there with that same issue ;). I see a paper and love it and can picture a project in my head at that very moment only for it to be lost in the craft void as a new idea comes along. 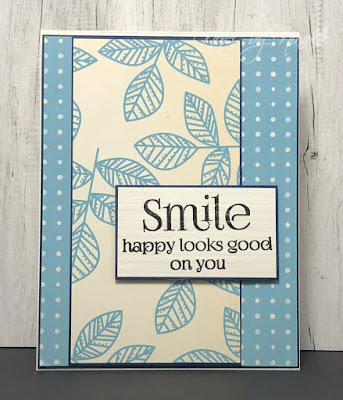 That is what I had happen with this pretty paper, I have it in multiple colours too. This weekend as I was creating this CAS card I briefly wondered why it took me so long to cut into it. Anyway, the paper is doublesided and worked wonderfully for this easy layout. I heat embossed the sentiment then popped I up with foam tape. 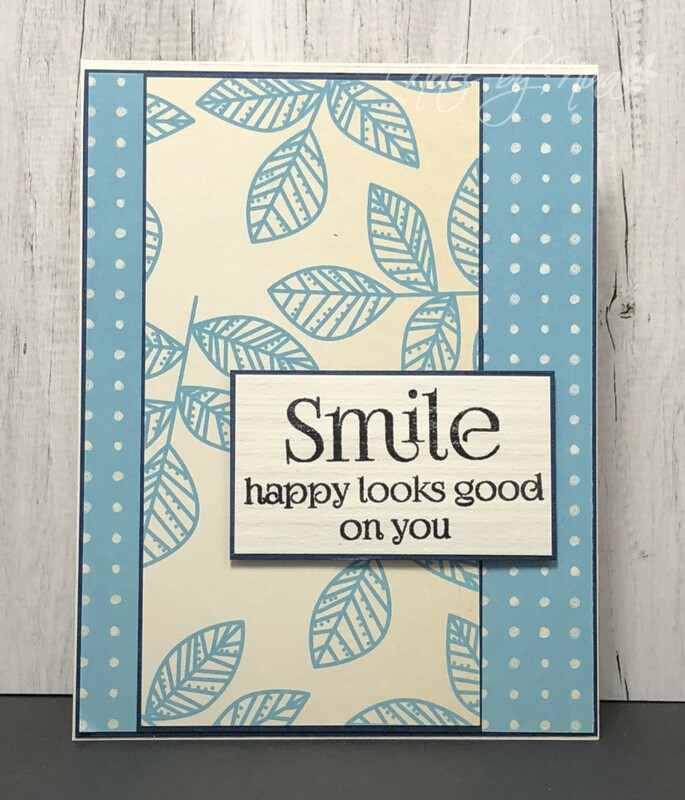 Supplies: White and blue cardstock, Designer Paper - Scenic Route, Penny Black - Happy Thoughts. Wonderful - love your sentiment and "ain't" it the truth!